Sign up to be one of the first to receive MILK! MILK is the U.S. 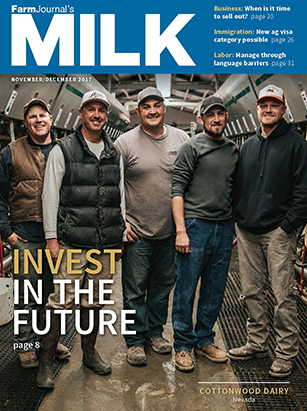 Dairy Farmer's newest source for trusted information in an ever growing industry. It provides the nation's largest dairies with actionable, sophisticated information to help support the complex operations of today. In a rapidly changing industry, MILK delivers the content you need to help make those important decisions.